Affiliate marketing is hands down the best way to make good income from online sources. If you’re looking for a one stop guide to increase affiliate sales, this one is for you! Affiliate marketing helps you make passive income online which means you make money even while you sleep. But selling affiliate products online is really hard. Online is heavily crowded and there’s too much of noise. It’s almost impossible to grab someone’s attention and make them buy your affiliate products. If you are finding it difficult to increase your affiliate sales, I have a list of 24 proven tips for you. Over the years, we have struggled a lot, spent a lot of money on learning to increase my sales and now here we’re today making full-time income from this blog. If you are searching for effective tips to increase affiliate sales, this detailed guide is for you. Let’s jump into the details. 12. Don’t hard sell, ever! 15. Affiliate marketing success won’t happen OVERNIGHT! You need to find a way to convert your website visitors into sales. For that, you need a proper sales funnel. Observe any profitable blog that makes passive income by selling affiliate products, you will notice one thing: they all have a sales funnel. Most beginners to affiliate marketing forget to create a funnel that turns normal visitors into buyers. If you are one among them, immediately spend time on creating a funnel. Here’s how you can do it. Create awareness: Any successful sales funnel starts with awareness. Make sure to give your audience a clear picture of what you are selling from your blogs. Once they know what type of products you promote/sell, it becomes easy for you to build awareness about them. You can use your blog posts as a way to create awareness about your products. Having an email list also comes in handy if you want to educate your audience about the products you recommend. Build a connection: Treat your audience like your family. Don’t treat them like buyers. If you are genuinely interested in solving your audience problems through the products you promote, they will be gladly buy what you recommend! For that, you need to stay in touch with your blog readers through blog comments, social media platforms or emails. Recommend, don’t force: One of the major reasons most people don’t be able to increase their affiliate sales is because they force! If you are going too aggressive to make someone to buy, they probably won’t do it! Instead of selling like a sales guy, recommend why they should use the products. Show them all the benefits they would be getting with the products you promote. Make sales: Once you have successfully nurtured your visitors into prospects in the above 3 steps, you will build a great platform to make more sales. This is the sales phase where your sales depend on how good you implemented the above 3 stages. Rinse and repeat the same for every product you create/promote. That’s the way successful marketers make passive income each month from their blogs and websites. Focus on what you offer to your audience. If they don’t find any value in your products, they simply won’t buy. If you are able to answer the above question, you’re already on your way to making decent income from your affiliate marketing efforts. If not, here’s an incredible way to increase affiliate sales. If you are new to affiliate marketing, make sure to offer some incentives exclusively for the people who buy from you. It can be anything from giving away your premium eBooks to designing a logo (if you’re a designer). So the point is you are rewarding the people to increase your affiliate sales. It’s a great idea to offer some free services in exchange for affiliate sales. Suppose I am promoting WordPress web hosting offers from some of leading web hosts like Hostgator and BlueHost on my blog, I could easily improve my affiliate sales by offering services like free WordPress installation, installation of certain plugins and themes or offering basic SEO services to the newly launched WordPress blogs if they happen to sign up to a web host using my affiliate link. Also asking your friends to create a WordPress blog is a great idea to boost your affiliate sales especially if you are focusing on web hosting promotion sales like Bluehost. Create awareness in your friends and tell them how can they make money from blogs so that they would be curious to launch a website for themselves too. That way you are not only increase your affiliate sales from web hosting companies, but you are also helping your friends to use their time better to make money online. If you are a beginner, it’s a waste of time to promote more than 2 products at a time. Why? Firstly, you are still in the process of building audience. Secondly, you will confuse your readers if you promote more number of products. So stick to one or two products. Educate your blog audience about these products and you will have fair chances in making money by promoting them. Also, you can better use your banner ads on the top of your sidebar and end of the posts if you are promoting less products. You can’t make money from affiliate marketing just by selling every product under the sun. It’s impossible to make money from all the products, it’s a smart move if you pick a handful of products to promote. Make sure you are promoting the products that are extremely relevant to your website audience. You can use sites like CJ to find great products to promote. Before discussing in detail about increasing affiliate products sale, you need to make sure you are promoting the right kind of products to your audience. I have seen some health related blogs running the web hosting and themes related banners. I’m sure they are not going to get any significant sales from such actions and are just wasting their website space for the promotion of unrelated products. So if you are blogging about how to blog and web hosting offers etc, then only you should run web hosting and domain registration related campaigns on your blog. But since there are lots of web hosts and domain name registration websites to choose from, how to make the right website selection? You should think of promoting those products only that you are using in person and are fully satisfied with. It’s a good idea to read customer reviews about a product before start promoting it on your website. You should gain detailed knowledge about the product you are going to promote so that you can answer some of your reader’s questions related to that product. Let us clarify you one thing: there’s no point of generating 1000 visitors a day to your websites if none of them are buying your affiliate products. It’s a smart idea to generate even 100 visits a day and bring 3 to 5 sales from them rather than focusing on increasing your website traffic. So clearly conversion > traffic. First off, make sure to analyze your current website analytics and conversion data so you can easily find out whether you are in the right direction or not and you can also figure out where the bottlenecks are (so you can easily fix what’s missing in your website to increase affiliate sales). Here’s a proven strategy to increase your website conversion rates to increase affiliate sales in 2019 and beyond. Perform A/B testing: A/B test your calls to action to see which one gets more visitors to click. A/B testing which is also known as split testing is a technique for increasing your website’s conversion rate. As you can see from the above image, Variation B got higher conversion when compared to Variation A and that’s how A/B split testing helps you decide which works better for you. Here are few things to test for performing better A/B testing. You can use tools like Crazy Egg to easily perform A/B split testing to check your copy, compare headlines, do split testing and more quickly and we personally use this tool which is worth every penny to increase your product sales. If you’re looking for a free tool for A/B testing, give a try to Google Optimize where you can use your Google Analytics data to identify key segments of users to target your users. I never saw someone increasing their product sales without the help of search traffic. The people who come from search engines are highly qualified and they are always looking for solutions to their problems. If you promote the products that solve their issues, you are highly likely to convert them into buyers. Use tools like SEMrush to increase your search results. Also spend time on spying on your competitors keywords and make sure to embed some of them into your upcoming posts to increase your organic traffic. The fastest way to improve your website’s SEO is to build links and you can use guest posts to build quality links. You can drive more affiliate products sales by being active as a guest blogger on top blogs in your niche. Through guest blogging, you will be able to win the trust of lots of potential buyers of your promoted products. It’s a good idea to write guest post about the affiliate product you want to make money from and work as an expert for them. You could also add link for product specific landing pages in your guest posts to drive more targeted traffic and search rankings to those pages. But don’t write guest posts only for the purpose of increasing your sales. You can also use guest posts to create connections with the blog owners, over time, you could use both of your networks to increase sales (which is often called win/win approach). No doubt this point has no direct link with improving the amount of affiliate sales on your website. But to be on safer side, you should add a nofollow tag with all affiliate links on your website. This way you will not be sharing your page rank and link value with affiliate products. By adding a nofollow tag, you are just confirming, Google should not count links from your website while calculating the search engine rankings and page rank of linked page. If you are into affiliate marketing, you already know writing product reviews help you increase your affiliate sales. But writing just any product reviews won’t help. You should write reviews that sell. How can you do that? Here’s a simple quick tip: go to the top blog in your niche and analyze all of their product reviews. Study how their headlines are, the content they write and more importantly the call to actions they use on their product reviews. This helps you write persuasive product reviews for your blogs to increase your sales. So next time when you are writing a product review on your blog, make sure to spend time on reading the reviews on top blogs in your industry. Want to increase your affiliate sales without doubling your time and efforts? Then write product reviews that are genuine. It doesn’t matter if you are new to affiliate marketing or not, your readers will love to buy from you if you create a rapport with your product reviews. Don’t write reviews just for the sake of money, you have to give importance to your readers. Then and only then this strategy works and gives you plenty of opportunity to increase your affiliate sales over time. You can make good amount of sales from your niche site if you are good in writing reviews around targeted products. I used to do proper reviews of different affiliate products I’m interested in promoting on my blog. Apart from product reviews, people love searching for how to manuals, discounts, coupons and deals around the products of their interest. So you can keep these keywords in mind while writing about a specific product on your site. If you happen to get into top 10 for reviews, discounts and coupons related keywords for affiliate products, you can increase affiliate sales number to great extent. So it’s a good idea to do proper keyword research about a product before start writing about it. We would suggest you try implementing a SEO strategy to get your website-targeted pages into top 10 on Google and other search engines. The best way to increase your affiliate product sales through your website is to remove all the clutter from your website. You don’t need any fancy elements that kills your site’s loading times and performance and make sure to also focus on cluttering any website design elements that slows down your site speed. The #1 tip we’ve for you to remove distraction from your website is to create landing pages. You can use tools like Thrive themes to easily create high converting landing pages with their drag and drop builder or you can hire someone to create unique landing pages for you. They work really great in promoting your affiliate products as landing pages provide minimal distraction which is the reason why they are often used by all kinds of marketers worldwide. If you are into affiliate marketing, you should know one thing: “no one buys from strangers, especially online”. People buy from people who they know and trust. Trust is the online currency. So if you want to increase your sales, build trust. Show testimonials from real people about your website and include all the blogs logos where you have been mentioned. This gives your first time visitors to easily trust you. If you have nothing as such, then start working on how can you get others testimonials for your sites. And start writing guest posts for the top blogs in your industry to build credibility for your site. Want to build credibility among your readers and visitors? Then disclose that you are using affiliate links on your blogs by creating a “disclosure” page on your sites. I would suggest you to disclose which links on your website are affiliate links. Your blog readers are not going to lose anything by using your affiliate link. And if you are offering some discount coupon along with affiliate link, that will actually help your blog readers because then they will be able to save some money just because of you. This way you will be able to gain more trust in the eyes of your blog readers. Whenever you use an affiliate link, just mention that it’s an affiliate link in the brackets so that they can understand that you are promoting products. If they really find your products useful, they will buy from you. Facebook: If you want to reach audience worldwide include youth, you can’t ignore Facebook as it has over billion users worldwide. Users are almost evenly split between men and women. The largest portion which is around 25% is between the ages of 25 and 35. 18% from 35–44. 17% from 18–24 (according to Statista). That makes it a powerful marketing platform since it hits target demographics for many businesses. Twitter: Twitter is the 2nd biggest social network after Facebook with millions of active users. Users are evenly split by gender but are likely to have slightly above average income. 40% of percent of Americans between the ages of 18 and 29 use Twitter according to Pew research. While only 27% of 30–49 year olds are on the platform. LinkedIn: LinkedIn is mainly aimed at professionals. Among U.S. adults, 38% of those with a college degree use LinkedIn. Users skew slightly male, at 24% of the male population vs. 19% of the female population. Unlike other social media sites, LinkedIn users tend to be older. It has more 50–64 year old users than 18–29 year old users. Instagram: This is new player in the lot and became immensely popular among the youth. Slightly more women use the platform with 39% of U.S. women versus 30% of U.S. men. 64% of U.S. residents between the ages of 18 and 29 are on Instagram. 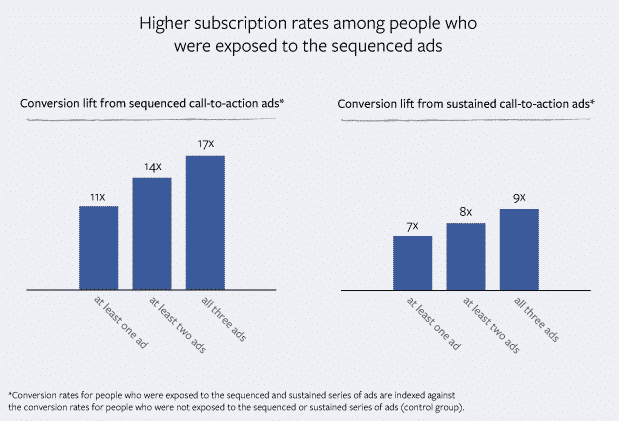 Here’s the importance of using paid ads to increase sales. We recently wrote a detailed post with over 16000 words on the best affiliate programs on the internet right now where you can find a list of over 100 affiliate programs to join as an affiliate for free. If one particular affiliate program doesn’t seem to be working for you, try another one. Whether you know it or not, there’s no “one size fits all” affiliate network that gives you access to high converting affiliate products. In fact, all affiliate programs aren’t all the same. Also make sure to create a sense of urgency. You never know whether your website visitors visit your site ever again or not so it’s important to make them stick to your blog and buy products from you as soon as they land on your site. So how can you do that? By creating a sense of urgency. Creating a sense of urgency is the quickest way to persuade your website visitors to buy affiliate products from you today, not tomorrow or next week. Whether you know it or not, the blog you’re reading now (i.e Bloggers Passion) is currently making $8000+ per month at an average. Most of the blog’s income come from affiliate marketing and do you know the #1 reason we make decent commissions every month? Harness the power of content marketing to promote your affiliate products through your blog. If you can lay out a great content marketing strategy where you can both educate your audience and promote your affiliate products, you can make a lot of money by helping people. Here are few ways to use content to promote your products and help your website audience. Create content that teaches how to use the products you promote: If you really want to increase affiliate sales quickly, start creating articles or videos that teaches your audience about how to use those products. You can talk about tutorials, step by step usage of their features and so on. Create brutally honest product review posts: Affiliate marketing is all about building trust. Observe any successful marketer and you’ll notice that they give top priority to helping their audience instead of just selling something. If you want to improve your affiliate earnings, make sure to start creating product reviews and be brutally honest. Make them as detailed as possible with all the pros, cons, features and so on so your audience can decide whether they are right for them or not. Consider creating eBooks around your affiliate products: Another sneaky content marketing strategy used by smart affiliate marketers is they create eBooks, checklists, workbooks and so on around the products they promote. Do you know why? By talking more about the products they promote, they are creating curiosity among the audience to give a try to the products they are promoting. You can also give it a try if really want to take your affiliate sales to the next level. If you think you can make more sales by selling hard, you are never going to be successful in affiliate marketing. Making money by selling products is an art. You should find out ways to add value to your audience lives through the products you recommend. That’s the fastest way to grow your online business. Building an email list is a great to get many affiliate sales from your blog. When you have a huge list of targeted customers, you can build huge profit from them. When sending emails to them, you should not only send promotional email to them but should also send value added emails to them. Sharing useful manuals etc. around your niche will help you gain more trust from your blog readers. You can use Get Response Email Marketing solutions for building your email list of targeted and potential customers. But remember that making money or increasing your affiliate sales from your email list actually takes time. Because no one wants to buy your products just because you are promoting them or asking them to buy. If it would have been that easy, then everyone else is also making money from their websites, right? Email list also has huge ROI. Observe any successful affiliate marketer like Pat Flynn, Zac Johnson etc. they are in the business for a long time now and they know how to make their readers and visitors to buy their products. They actually don’t FORCE their visitors to buy something from them, instead they focus on creating awareness and building connections with them. Make sure to subscribe to the affiliate programs email lists you promote. Why? When they offer some exclusive bonuses and discounts, the first thing they do is they send out emails to their subscribers. So if you subscribe to them, you will be the first one to get notified about the special discounts. Almost every affiliate marketer spends quality time during the special days such as Cyber Monday, Black Friday, Christmas etc because most of the affiliate products offer huge discounts to increase their customer base. Affiliate marketing is not a get rich quick scheme. Ask any successful affiliate marketer and he will tell you making passive income online won’t happen overnight. You have to develop few essential skills such as networking with the right guys, increasing your SEO skills, and more importantly working hard to build a tribe that helps you grow your business online. If you are not getting any sales even if you are working hard, you might be lacking some selling skills. Or you might be not giving enough exposure to the products you promote. There’s always a solution for every problem, so look for it and NEVER give up. You will eventually start making more affiliate sales if you are persistent. I strongly believe in one thing to make money blogging that is.. you have to invest money before you make money. See, blogging is a form of business and every business needs an investment to make money. The great thing about making money blogging is you don’t have to spend too much money. If you are thinking to increase your affiliate sales to earn more money from your websites, focus on promoting your affiliate products through social media sites. You can use Facebook ads, Stumble Upon ads etc. to increase your reach. You can improve traffic and affiliate sales on your blog by running special social media promotions for targeted pages. I would suggest you pay special attention to Facebook, Twitter, Google Plus, StumbleUpon and Delicious websites. You should look at ways to get maximum shared and likes for your stories on these networks. But never try to spam these networks. Contents should be shared with the intention to provide more value to your fans and followers on these networks. Pro tip: Use landing pages to increase your affiliate sales, you can then use those landing pages links to promote them on social media. Because landing pages give less distraction and less distraction means more sales and conversions from your web pages. I’ve been using few text ads across the relevant pages on my blog. And I’m doing that because I know when someone who is interested in reading my content, they will always look for further information. That’s when if you recommend the relevant products by placing text ads, you will get more conversions. If you are not using text ads yet, start doing it now and you will notice the results in no time. Did you know why few top blogs spend a lot of money on their visuals be it Infographics, images or the overall designs of the products they promote? It’s because they know appealing visuals convert more! When you write product reviews or anything related to the products you promote, make sure to spend time on crafting gorgeous looking images. Here’s a great post on finding high resolution images for free. NEVER ever download from Google images as most of them are copyrighted. For example, you can easily understand what a lead funnel is just by looking at the image which show below. “First impression is the BEST impression” when it comes to online. If you want to convert visitors into buyers, you first need to make them stick to your blog. No matter how great your content is, if you have a messy design with a bad typography, no one likes to read and share your blog posts. Design is the king and you should invest time and money on creating an appealing design to increase your affiliate sales. If you are struggling to find the best theme for your blog, I strongly recommend you to check out Elegant themes. Have you ever heard someone making a lot of money from affiliate marketing without having an email list? NEVER, right? It’s almost impossible to boost your affiliate sales without having a list of loyal subscribers. An email list not only helps you build trust but it allows you to educate your subscribers about your products they can buy when you send sales pitches. Read this great checklist if you want to build a list of hungry email subscribers. Keep it brief: While creating videos to explain how your affiliate products work, keep your content brief. Instead of creating a 1 hour long video explaining your products, you can hook your visitors by creating short and sweet videos (under 5 to 10 minutes). You can cover only the basic elements such as “who, what, where, when, why and how” and talk about how your products work and how they can benefit your audience. Just make sure to provide an offer (discount or coupons) in the video description and tell your viewers how they can instant access to the products you’re promoting through your videos. Pat Flynn started the trend of publishing income reports on his blog. 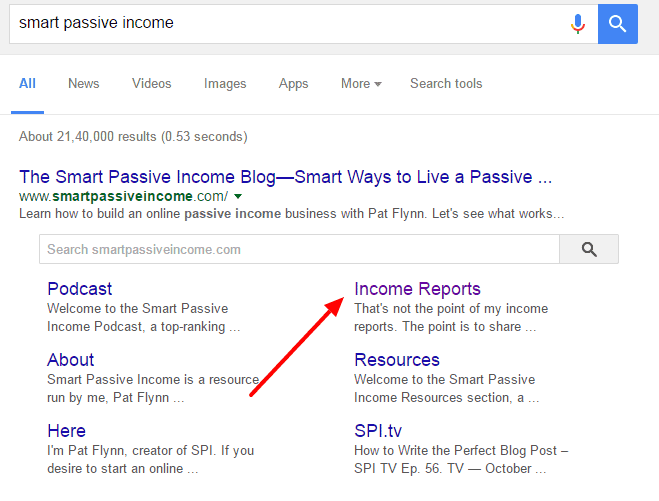 Did you know that income reports page is one of his most visited pages on his blog? In the above screenshot, you can see Income Reports is showing up on Google SiteLinks which is amazing (it’s also because of the fact that it is one of his most popular pages that gets massive traffic). Yes, that’s true. Do you know why they are so popular? Because people love to know how others are making money online. They love to know what strategies others are using to grow their income. And almost every successful affiliate marketer is started posting their income reports. In fact, their income reports are helping them to find more audience and that’s how they are attracting even more affiliate sales. Here’s the income reports section from Pat Flynn’s blog. See that? Pat has made a whooping sum of $1.6 million dollars in the last 12 months and majority of his income came from affiliate sales. That’s the power of affiliate marketing and that’s the beauty of showing income reports on your blog to grow your affiliate income. To put it simply; your income reports can help you grow your affiliate income. Here are few amazing benefits of writing income reports. See the amazing benefits of writing income reports on your blog? So why not give a try to publishing them on your blog? Even if you are making only a few sales, don’t hesitate to show them up and your audience will love you for your honesty. Just make sure NOT to fake your income reports. If your audience sense that you are faking your income reports, your reputation goes in vain. It’s as simple as that. I personally have tried and tested this strategy and it really works well. I first created a case study on one of my favorite SEO tools SEMrush (you can find it here) and it not only started ranking well in Google for several combination of keywords but it also started generating a lot of sales. Since then, I’m not writing product reviews but I’m giving more priority to writing product reviews as case studies. If you are also promoting few affiliate products from your own sites, make sure to write detailed case studies around them and share the results (and benefits). That way your audience will find it interesting to give a try to your affiliate products. You can make sales as well as you can add value to your readers. Here are few tips you should always remember while crafting product reviews to grow your affiliate income quickly. These are also the same tips most successful affiliate marketers use to grow their affiliate sales. Create videos. Yes, create videos around the products you most like and tell your audience why you are using them and how they can benefit your audience. Provide links from the video description to increase traffic and sales to your sites. Focus on the product, not sales. While writing product reviews, most people brag about their products so they can make more sales. But in general, it won’t work. You need to focus on why your product is the best fit for your audience so they can buy from you. Before writing any product review, make sure to use it. Either buy it or ask the product developer to give you a free copy (tell them you’re interested in writing a product review). Use it for some days, come to a conclusion and then start writing a review about it. Be honest. Instead of just talking about the pros of the products, also talk about the cons about it. This honesty can impress your audience and they can come to a better conclusion whether or not to buy it after reading your review. Most of the successful affiliate marketers have a HUGE following. So it’s not a big deal for them to turn few of their fans into paying customers. At the moment, Pat Flynn’s social media following is: 350,000 (Facebook, Twitter and YouTube). Apart from that, his email list will be over 100,000 subscribers. Those are insane numbers, right? With such kind of followers, increasing your affiliate income won’t be a big deal. So your affiliate income also depends hugely upon your following size. The more followers you have (be it on social media or email list) the more affiliate income you can make. That being said, here are two places where you should be spending more time to build your followers if you want to grow your affiliate income. Social media following: Connect with the influencers on social media. Engage with them. Follow them and frequently retweet what they post. Consider offering them help before seeking help from them. Get your first 1000 social media followers on all accounts first (Facebook, twitter, Instagram etc). Then use tools like Buffer to schedule your posts in advance so you can always share great stuff with your social media followers. Email list: Money is in the list. Make sure to use freebies to build your list. Once you build it, keep sending value added emails to your subscribers. Also discuss about the products you promote by using your affiliate links. The more people you have in your email list the more sales you can make. Create a resources page: If you don’t have a resources page yet on your blog or website, make sure to create one as soon as possible. And list out all the products that you personally use and like. Use affiliate links for each of them and whenever you write new posts try to build links to them (either from your own blog posts or guest posts). That way you can get more traffic and visibility so you can get more affiliate sales. Giveaway the products you promote: I have recently did a giveaway on SEMrush. The reason why I did was mainly to reach more new audience and to boost my SEMrush product sales. Both were happened with that giveaway. You can also do the same thing. Giveaway few of the products that you are promoting and collect emails so you can use them in the future to grow your affiliate income. Offer promotional codes: Lots of the bloggers are making money just by using this one tactic. All they do is, they just give you some 10% or 40% coupon codes which you can use to get a discount on your desired products. Try the same thing on your affiliate products too. It always works like a charm. Here are few proven ways to learn the art of selling. Use them to sell your affiliate products like the affiliate marketing professionals. Do you think we all buy products for their features? No. We all buy for the benefits they provide us. No one really cares about the features of a product, consider any great selling product if you want. For instance, Genesis framework is one of the widely used themes by WordPress users and it has a lot of SEO benefits, mobile friendly, faster loading times etc. Great selling products mainly focus on benefits, not the features. Next time when you are promoting (or creating) an affiliate product, focus on how it can help your readers instead of the features it provides. This is one of the simplest ways to find the greatness of any product. Ask yourself “who benefits” from the affiliate products you are going to promote. If you have desired target audience who is searching for ways to find solutions, and if you promote the RIGHT affiliate product that suits their needs, you can increase your affiliate sales. While it’s not only important to focus on benefits but you also need to listen to your readers and customers. After all, they are the ones who buy your stuff, it’s not possible to make more sales without their trust and help. Ask them what they really want. Read other blogs in your industry and find out the top bloggers in your niche to analyze the products they are selling. That way you will be able to rapidly increase your customer gain, support and sales. It doesn’t matter whether you are a small business owner or a blogger who is thinking real ways to increase affiliate product sales, it all boils down to one important thing: learn to listen. Before selling any affiliate product on your websites, buy it first. Or request the affiliate product vendor for a free copy, then try it by yourself. Once you start using the product, you will better understand the pros and cons of it. Promote the affiliate products only if you are satisfied. That way you will be able to give strong reasons through your product reviews to increase your sales. What’s the need, why should someone buy from me? Price barrier: is it too costly? Urgency: can you close the deal within a deadline? Always give something for free for buying early. Desire: what’s the one thing that makes curious about buying from you? Trust: do you have a social proof to boost your sales? If you can come up with a framework by answering the above questions, you can quickly sell affiliate products that bring in more income for you each and every month. So start answering the above questions to make your sales journey a cakewalk. Most successful affiliate marketers know one thing they help people rather than pitching hard their products to make more money. You will hardly make money by selling products without knowing your audience pulse. There are thousands of successful affiliate marketers who are using affiliate products to make a living from online. The best example is Pat Flynn from Smart Passive Income, he generates around 50,000 dollars each month by promoting very few products like bluehost. He’s the true example of how we can make more affiliate sales by building strong relationships with readers. Help people by writing genuine product reviews, recommend the products you personally use and make their buying experience better. The more helpful you are with your products, the more sales you can make. Give your readers what they really want. Your readers are constantly looking for solutions to their problems and you can gain more sales if you find the right affiliate programs to solve their problems. Here’s a great video by Brian Tracy on how to sell like a pro. Organic traffic is the lifeblood for any profitable website that’s using affiliate products to make money. Without the help of search engines, you can’t earn money from affiliate marketing. Learn to optimize your websites for certain keywords to increase your website traffic from search engines like Google. It’s not easy to get the top results for few buyer keywords though but you can expect great flow of search traffic once you start producing great contents around them. Here’s a quick recap of some of the BEST tips from the post to increase affiliate sales in 2019 and beyond. The only way you can increase your affiliate sales in the long run is to continuously engage with your audience. Don’t treat them as BUYERS, treat them like a friend! Know their problems and recommend the products that solve their issues. That way you can effectively convert your blog readers into buyers. And find out if your website design stinks. Make sure to spend time and money on improving the design and speed. Another simple yet effective tip to grow your affiliate sales is to analyze what factors persuade YOU to buy a product from someone else? Note down all the points in a notepad and you will be amazed with the information you get. We hope you found this guide to increase affiliate sales useful. If you have any more suggestions or thoughts to boost affiliate income, please share in them in the comments. Affiliate Marketing is great way to earn money online (Especialy from blogging) but it is also necessary that we choose right product as affiliate marketing. So their will be better chance to increase sales, your tips are really helpful to increase affiliate sales. As far as sales concern I think niche can play big role in it. That’s so true Harpeet. Choosing the right affiliate products to promote is the key to making more sales. Also try to find recurring affiliate programs to promote as they give you commissions for lifetime instead of paying you just once. Make sure to keep an eye on your competitors to see what products they are promoting to get an idea. What an amazing post. You have covered almost everything here in this post. You have left no stone unturned. Some very valuable suggestions which are worth gold. Trust I believe is very important. Once your visitors have trust in you, they wouldn’t mind acting on your advice. It is very important to be genuinely trying to help out your visitors. If your visitors gets some kind of solutions by visiting your post. They will come back for more. Hi Tarique, yes I always try to cover almost everything on any topic I publish here on my blog so you can benefit from that (including the beginners). It’s true that you need to really help people to start making money from affiliate products. Otherwise, no one’s going to bother about buying using your links. This is really cool methods to increase affiliate sales, I just follow all of the tips that you share on your blog and I think my affiliate sales increase without limit. I just wait for more helpful methods regarding affiliate marketing. Can you post it for me? finally thanks Anil for sharing your knowledge on this blog. Hi Saikat, Promoting Amazon products is really challenging as they offer really low commissions to be worthy of promotion. Actually, this not only applies to Amazon or any other such kind of affiliate network (say Flipkart or eBay or something else), promoting low priced physical products does not worth the effort nowadays because there is huge competition for that and commissions are also really small (for physical products). For example, Suppose you are promoting a headphone from Amazon for $50 and commission for the product is 10% (Commissions for physical products are really less with the maximum of up to 12% but the average commissions are nearly 7–10%) so you will get $5 per sale and to earn a income of $3000. That’s why you need to pick the RIGHT promotion strategy if you’re looking to increase your affiliate sales. Hope you’re getting it. Let me know if you’ve any more questions. Affiliate marketing is globally used online revenue generating. selling affiliate products is hard work. In order to get a result, there are many ways. But you have provided great tips through the blog. It’s really working. This article is very easy to apply because you have provided pictures, videos, and other valuable pieces of information. Yes Sagar, it’s true. Affiliate product selling is hard and that’s the reason why most people fail at it. Affiliate marketing is one of my primary ways to monetize my blog and make money from it. You have covered every points which is important to become successful in affiliate marketing. Choosing a right product is very important as it helps to generate more sales. Building trust and authority among your readers is very important otherwise nobody wants to buy stuff from a strangers. Excellent points. Glad to know that your primary source is affiliate marketing and yes, choosing the right product to promote is the KEY here. You should also know about your target audience and their likes so you can promote the right products that match with their problems. Affiliate marketing is one of the best ways to earn handsome revenue online. Yes, selling affiliate products is a hard task and there are many things to do to get better results. You have provided great tips and I am totally sure by implementing these tips it will help in increasing affiliate sales in a right way. You have well explained the whole article and it is very easy to understand. Hi Praveen, truly said, selling affiliate products is a hard task and there are many things to do to get better results and you’ll have to be patient. If you know how to sell online, it is easy. But if not, you’ll find it really harder to sell online. You have covered almost everything about affiliate marketing in this article. Can we use “Paid Advertisement like Facebook Ads” to promote our “Affiliate Product Review” blog posts. For example: “SiteGround Hosting Review” Blog post which consists my affiliate link. Sumit surely you can give a try to paid advertising options and stick to them if you are getting the desired ROI. You should be able to get more sales from paid ads if you have any exclusive discount or deal for the people who will be buying an affiliate product using your affiliate link. Thanks Anil sir to clear my doubt. Yes, you can do so and it’s the most effective way to increase sales. We all know that, affiliate marketing is one of the most popular means of making some extra income online and letting people know about your products. To make affiliate marketing succeed for you, conversion is important, which is why you must engage actively with your visitors to purchase products from your affiliate links, so always track and engage with your products to increase sales. This is the second post I read from your blog today. As always, you gave us amazing tips to generate affiliate sale. Building an email list is quite tough for me. As both the case studies can help you with affiliate marketing.